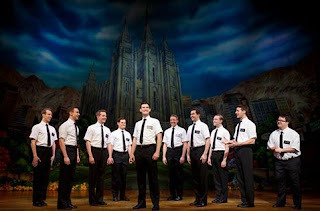 The touring production of the smash hit The Book of Mormon on Broadway is in residence at Hennepin Theatre Trust's Orpheum Theatre in downtown Minneapolis this month. Several of our bloggers saw it and (mostly) loved it! "The show will keep you laughing from the first curtain up all the way to the final bows." "Cody Jamison Strand and Ryan Bondy are perfectly set as Elder Cunningham and Elder Price." "The show is damn funny and wonderfully performed." Read our reviews at the links below. Tickets still available so get them now!